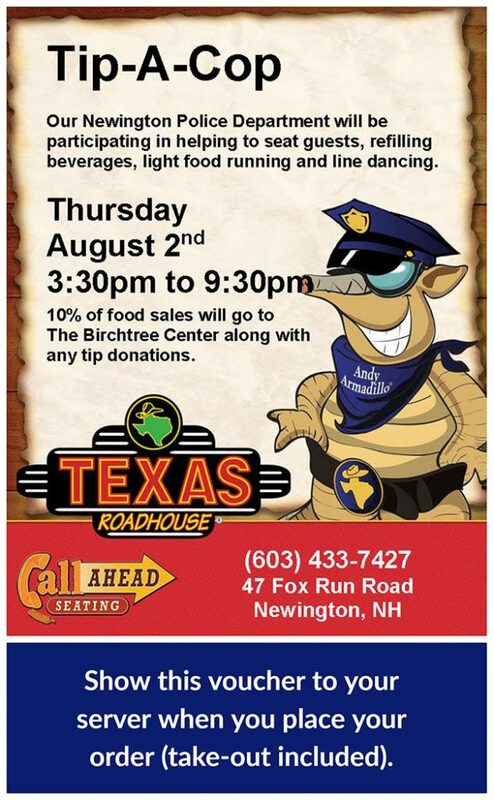 When you show this voucher at Texas Roadhouse Newington on August 2nd from 3:30-9:30 pm, 10% of your purchase will go to support the nonprofit Birchtree Center’s autism programs. Our Newington Police Department will be participating in helping to seat guests, refilling beverages, light food running and line dancing! 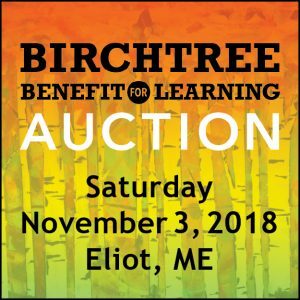 10% of food sales will go to The Birchtree Center along with any tip donations. 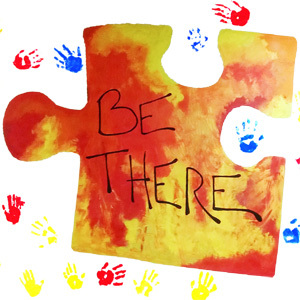 Come enjoy hand-cut steaks, fall-off-the-bone ribs, made-from-scratch sides, fresh-baked bread, and more–and help local students with autism and their families at the same time! It’s a delicious way to commemorate Autism Awareness Month.